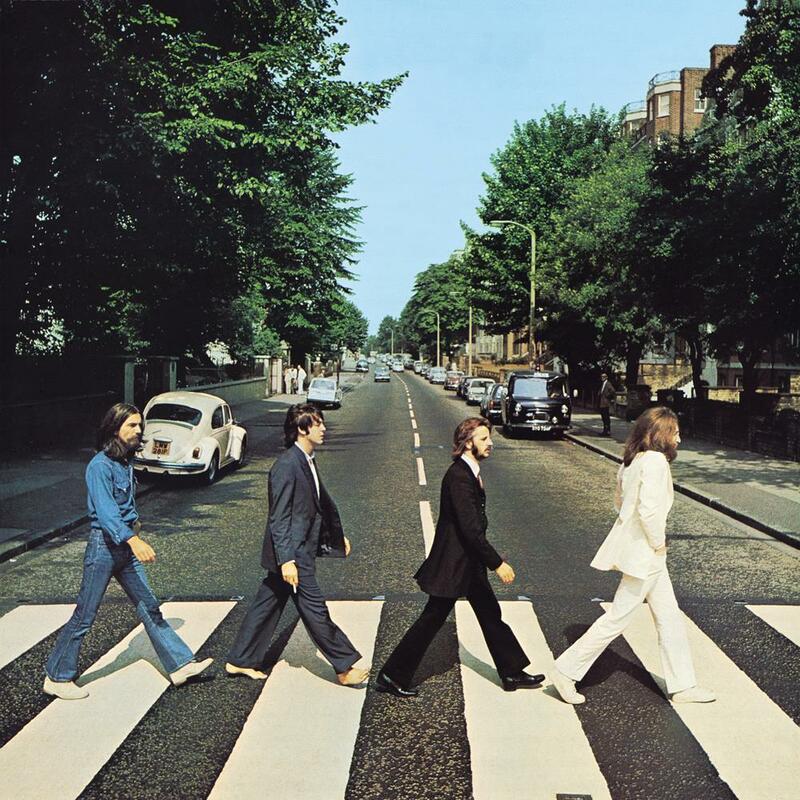 "Abbey Road" is the 11th full-length studio album by UK rock act The Beatles. The album was released through Apple Records in September 1969 in the UK and in October 1969 in the US. This is actually the last full-length studio album recorded by the band as "Let It Be (1970)" was for the most part recorded before the recording sessions for "Abbey Road", although it was released after. The "Get Back" sessions in January 1969 (which would later become most of the "Let It Be" album) were disastrous as the band members at that point had a hard time working together and it was only after the band had agreed with long-time producer George Martin that they would do "Abbey Road" his way that they would begin sessions for that album. At this point the "Get Back" sessions were shelved. The psychadelic tinged pop/rock that had dominated the last couple of releases by the band, were not as prevalent on "Abbey Road" which instead features lots of hard rock and blues rock leanings. The focus on experimenting with sound productions is not that dominant on "Abbey Road" either and the album overall comes off as a bit more simple and "to the point" than it´s direct predecessors. It´s not necessarily a minus though as The Beatles were still able to produce well-crafted memorable melodies and intricate vocal and song arrangements. Tracks like "Come Together", "Something", "I Want You (She´s So Heavy)", and "The Abbey Road Medley" on Side 2 of the original LP (several short tracks that seque into each other) are among the highlights on the album but there´s nothing here that´s sub par. It´s a quality release through and through. Even the quite silly Ringo Starr led "Octopus's Garden" is bearable and one of the better Beatles tracks where he sings. The sound production, is pleasant, organic, and professional. The great mix provides room for Paul McCartney´s bass lines which I find particularly enjoyable on this album but also George Harrison´s lead guitar work is of high quality and prospers greatly from the great quality sound production. One of the things I mostly enjoy about "Abbey Road" is that the band seems to be enjoying themselves (which stands in stark contrast to the fact that the band were close to disintegrating at this point). Their passion for the music really shines through. I find "Abbey Road" to be a very accomplished album and one of the most important albums in The Beatles discography. Just short of a 5 star rating, but a 4.5 star (90%) ratings is well deserved.